Cake decorating as a business has come a long long way. The art has moved from basic frosting and piping to unimaginable competitive 3D creations. And yet we find ourselves wondering if it’s worth being part of it all. Three Business tips for aspiring cake decorators might help you turn your passion into a profession. Many of you have asked business related questions. While I can answer some I can’t do justice to the others, especially because I myself am always learning as I go. My husband is a business leader with over 20 years of experience, and I can honestly say without his help I would not have made it here. Success is not always about making it to the top but by growing every single day one day at a time, one cake at a time. So while I know I’m not up there I feel successful because I do appreciate where I started from and where I am today. 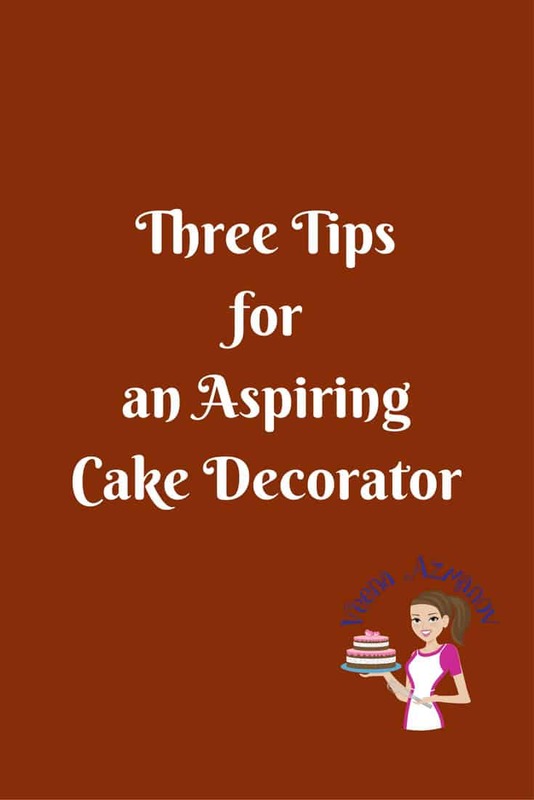 I often get asked what helped me succeed up to now and what tips can I give the new cake decorators, so I requested my husband to put together a post with three business tips for an Aspiring cake decorator. I hope you will find it useful as I have in my business so far. My wife Veena is a very talented cake designer and decorator. 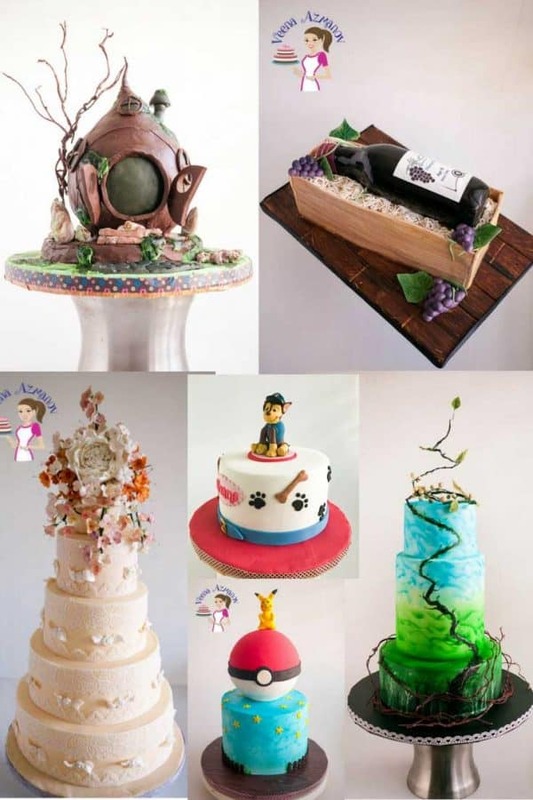 Two years ago 26th May 2011; she decided to turn her passion and hobby into a small cake decorating business. Like every entrepreneur and small business owner, she had to overcome many challenges and obstacles before her small business started to take off. 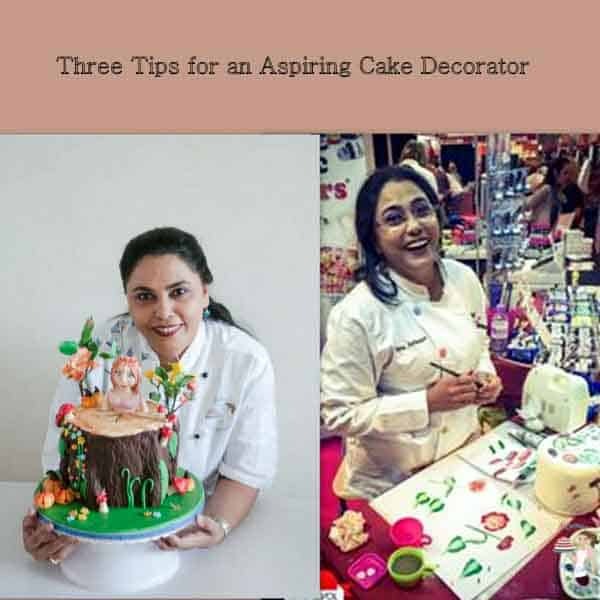 Based on Veena’s experience, as well as my own previous experience, I would like to offer aspiring cake decorators three important tips. However, before any business tips, allow me to offer the following advice. as any other form of art. So now that we made that clear, here are my three tips for those of you who want to turn your passion into a business. 1. Why Buy Anything? Or, what need are you trying to serve? answer to the above question, as well as these supporting questions: Who would want to buy your cakes? Why? What is their jobs-to-be-done (http://hbswk.hbs.edu/item/6496.html)? This requires that you clearly identify who is your target customer. For example: are you targeting young mothers, or are you focusing more on brides? Once you’ve decided who is your customer you should get to know her well enough to understand why is she buying decorated cakes (or cakes in general)? What need (or job-to-be-done) does it fulfill? 2. Why Buy Mine? Or, what’s my Unique Value Proposition? Not only should you understand what customer need does your product solve, but you also need to convince them that your product does it better or most cost-effective than others on the market. To have a unique value proposition, your solution to the problem, or need that you’ve identified, must address it better than any competing or alternative solution. In order to verify that, you need to become familiar with your customer’s perceived alternatives and options, including your direct competitors (other cake decorators and bakeries). To do that I recommend you meet and talk with your target customers. Learn the process they go through from the moment they decide that they need a cake, through their selection criteria, to the actual ordering and buying process. This could provide you with hints and ideas on how you can make their overall experience better, and provide them with a superior offering. For example: are you planning to offer more creative designs, healthier cakes, lower prices, or simply better service? 3. What is your business model? Or, how do you intend to create, deliver, and capture your unique value? Here I would like to suggest a great concept I first learned from Derek Sivers (http://sivers.org/). It’s called “1000 True Fans”. The idea is simple: find 1,000 True Fans. The gist of this business model is this: a creator, such as an artist, musician, cake decorator, craftsperson, performer, designer, or author – in other words, anyone producing works of art – needs to acquire only 1,000 True Fans to make a living. your website. They promote you to their friends. They are true fans. One thousand is a feasible number. You could count to 1,000. If you added one fan a day, it would take only three years. True Fan-ship is doable. It requires that you identify who are your True Fans, connect with them, and give them the recognition and appreciation they deserve. To retain and grow your True Fan-ship you need to be consistent, to remain true, to focus on the unique aspects of your work, the qualities that your True Fans appreciate, and got them to become your fans in the first place. Just to be clear, this does not imply that you ignore or disregard your lesser fans and regular customers. You should treat all your customers like VIPs, and as you want to be treated yourself. And yet, your True Fans should get that special recognition. 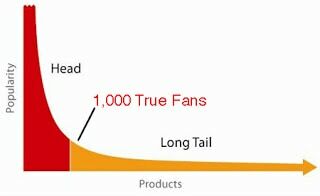 The key challenge is that you have to maintain direct contact with your 1,000 True Fans. They are giving you their support directly. They are buying your cakes from your website, or they call you personally to design their cakes and place their orders. You also benefit from the direct feedback and love. The technologies of connection and communication make this circle possible. Blogs and Facebook updates enable you to maintain direct interaction and communication with your fans. Websites host galleries of your past work, archives of biographical information, and catalogs of your product offering. By approaching and treating your customers as fans, and not just clients, you will also make your business stand out, and become their preferred choice for decorated cakes. This will also grow your business through inspired word of mouth. This should be your goal and approach from day 1. I hope you found these tips to be helpful. I wish you all the best on your exciting, challenging and rewarding journey. Thank you Veena and Ziv. 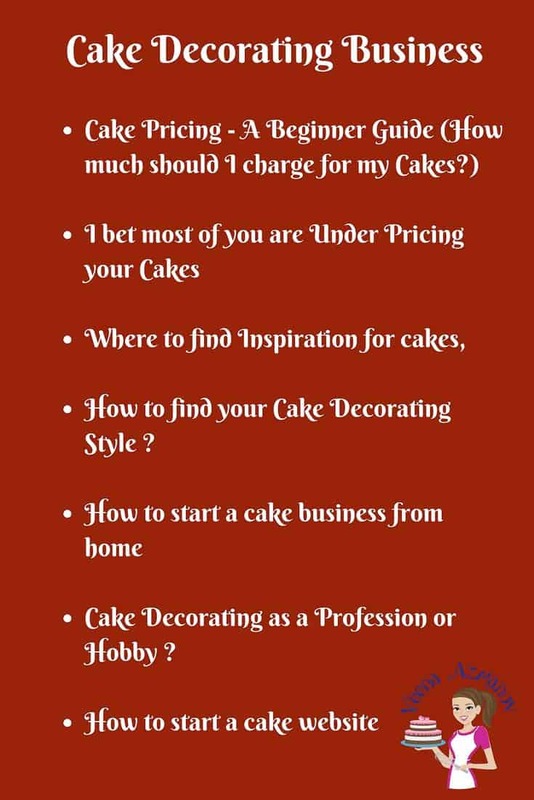 Much appreciated the tips and for sharing your understanding of the cake decorating business. This is come to me at the right time, as I am taking my passion to a full time level, clearing understanding that it’s not for the money but for the love of it. Thank you. Thank you for the valuable suggestions! Thank you you two lovely people . For the lovely tips you have given to start. thats all I can think of, though a little skeptical of starting at this age. Yes, I just want to paint the cakes. You have made me so happy, I now have something exciting to do. Me not a baker though, but willing to learn. Thank you once again. God Bless you both. You are an inspiration Veena. I have never made any cake decorating in my entire life until I started following your work. Many thanks for your hard work and sharing your experience. I am now starting to learn and self teach thru your youtube videos as well as the others that are linked thru you. Million thanks. Thank you for taking from your valuable time to write these tips for us. I have been a cake designer for 10 years and I'm still do it because I LOVE it, not because of the money. It is my wish to do this full time when I retire from my day job…any year now.